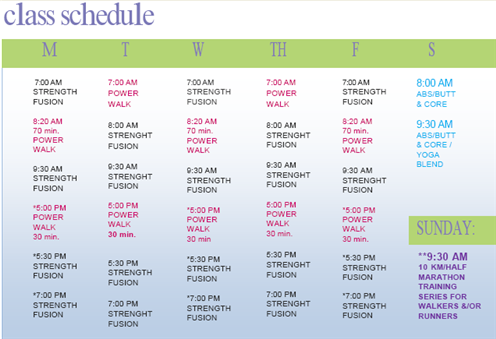 Strength Fusion Class: A fast paced, energetic class that is a fusion of many fitness disciplines. It integrates cardio, strength training, plyometrics, adapted rehab exercises, martial arts, Pilates, ProbodX, and yoga in ever changing, innovative, and functional ways. We use weights, body balls, medicine balls, dyna bands and lots more. Class sizes are kept to a maximum of 8 participants. This is an invigorating class that will leave you feeling vitalized and ready to seize the day, and you will love the FAST results. Small class size ensures that all levels of ability can work out safely and effectively together. Yoga: for over 5000 years yoga has been practiced as a stress reducing holistic form of exercise that incorporates strength, and fluidity through a series of asanas (postures) and breathing exercise. We focus on restorative poses that calm the mind, create tone and flexibility and promote healing. Yoga corrects the postural imbalances that aging and gravity has left us with, as we develop long lean muscle, and deep inner calm and strength. Feel the stress of daily life diminish. Pilates: Creates greater stability and core strength while promoting long lean muscles. This invigorating mat class focuses on working the abdominals and buttocks as well as lengthening the side of the body. Challenging, fun, effective. Class size is slightly smaller, max 6, or private sessions are available. Ayurvedic Fitness: Enjoy the gains and benefits of conventional exercise while in a meditative state, without the buildup of free radicals. This euphoric technique can be applied to any type of physical training, it’s perfect for people with chronic or immune threatened health concerns, as well as to athletes like Billie Jean King and Martina Navratilova who discovered that this safe technique allowed them to experience the elusive “Zone” during competition. Learn to Run Programs: Follow a safe progressive walk run program and discover why so many people are joining the running craze. This sixteen-week program will start you at a beginners level alternating brisk walking with progressively longer running. Enjoy the fresh air, group companionship and burn lots of calories and before you know it you will be congratulating yourself and calling yourself a “Runner”. A minimum of 8 people for class to run/max 12 participants. Forget the high cost of crowded weight loss Spas and Fitness Resorts. One to One Fitness is pleased to offer the Ultimate Personal Training Getaway. Unique and totally private as only one client is accepted at a time (or yourself and a friend or partner) for an intense personalized Health and Fitness Adventure Getaway. Clients stay in our clean and cozy character home located in the heart of beautiful Victoria, B.C. You will enjoy 3 healthy nutritious home cooked meals and learn how to make life style changes that will open the door to health, fitness and successful weight management. Each day will include a small group invigorating strength and conditioning class (75 min) in our lovely garden studio. After lunch you will enjoy a 90 to 120 min private outdoor cardio adventure, hiking along spectacular beaches, or through the beautiful forest trails and wilderness, or maybe cycling along the scenic ocean routes or on the Galloping Goose Trail. After dinner relax and recharge with a restorative private candlelit yoga class (75min). You will sleep like a baby! Transportation to Victoria is the client’s responsibility, but pickup and drop off to and from the airport or ferry is included. Benefit from 30 years of Personal Training in a relaxed, friendly and motivating environment. Please note all visitors must be pet friendly. Length of stay may vary from 3 to 6 days. This is the perfect way to jump start your fitness and lifestyle change, with the added comfort of knowing that the entire stay is tailored just for you. You will lose fat, gain lean long muscles and start to develop good cardiovascular endurance, and learn how to continue on your own. All clients leave with a personalized program. Early booking is recommended.